China&apos;s culture stretches to the corners of the world through the overseas Chinese population and influence, but it can still seem a very different and mysterious culture. 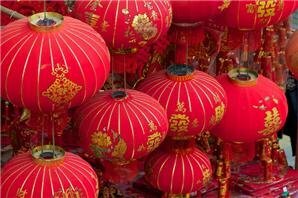 Here are 10 fascinating facts that will help you understand Chinese culture. 1. China is influenced deeply by Confucianism. 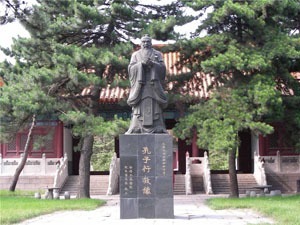 Confucius is revered for teaching doctrines key to Chinese culture. Confucianism places a heavy emphasis on the importance of respect for rulers, family, and social harmony. It&apos;s a national philosophy, but also a religious system of beliefs. Even over 2,500 years on, Confucian beliefs are still ingrained in mainstream ethics and religion, and this can be seen as you travel throughout China. 2. China is "the Middle Kingdom". The Chinese for China, Zhōngguó, can be translated as Middle Kingdom, reflecting the ancient Chinese worldview that China is the center of the world. This led to haughty refusals of foreign trade, then military defeats by Europe, and forced treaties, marking the end of the imperial era. Chinese people are very proud of their long history and profound culture, which you are likely to notice on your trip when you communicate with Chinese people and visit tourist sites, which often have signs to emphasize their importance in global history. 3. There is great emphasis on family. Learn about family structure by visiting a local family. Chinese people place great importance on family, and family structure. Marriage, family, and children are all extremely important, and many Chinese families&apos; lives revolve solely around the youngest children. Grandparents tend to live with their children even after they are married and have their own children, and children are expected to look after their parents once they are married and working. 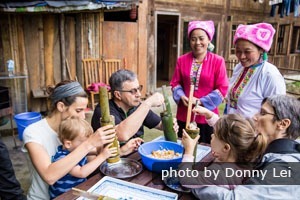 When it is time to celebrate a traditional festival, family gatherings are key. 4. Ping pong is the most popular sport in China. Ping pong, also known as table tennis, is the most popular amateur sport in China, with approximately 300 million regular ping pong players. Basketball, volleyball, and badminton are more popular with Chinese youth nowadays, but table tennis remains #1 with the growing older population. Chairman Mao made ping pong the national sport in the 50s, as a vehicle to recovering national pride and facilitating international relations. This explains why China always does so well in global ping pong tournaments (better than any other country at any sport). This also explains why many neighborhoods in China have public ping pong tables, as Chinese people love to play sports together outside (especially the elderly). 5. Chinese calligraphy is a revered art form. Calligraphy is more than arty writing — it&apos;s about discovering the deeper meaning of Chinese characters. 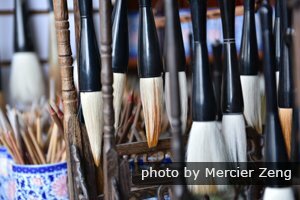 In China, calligraphy itself is a revered and much-practiced traditional art form, that has also led to the development of many other Chinese art forms. Examples of these include seal carvings, ornate paperweights, and ink stones. 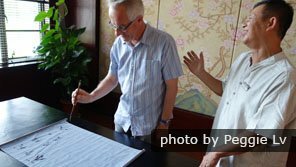 Calligraphy in China has many different categories, which you can learn about through your travels through China. 6. 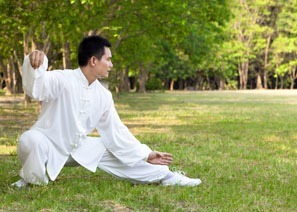 Chinese kung fu can be dated back to primeval society . Chinese kung fu can be dated to primeval society, when people used cudgels to fight against wild beasts, which gradually turned into a form of self defence and hunting. Later on, kung fu evolved to be a kind of martial art, used to train soldiers and improve their morale ahead of wars (at a time when there were various battles fighting over land and philosophies — the Spring and Autumn period (770–476 BC)). 7. Tea can show your social status in China. Meijiawu Tea Plantation in Hangzhou is the epicenter of Chinese tea culture. Tea is the national beverage of China, and in traditional Chinese tea culture the way you drink tea, and which tea you drink, can show your social status. Today, having a pot of tea when visitors come around is the typical way of welcoming said visitors. Tea ceremonies or visits to tea houses can also be an important way to finish business transactions. 8. The Han are the majority, and officially China has 55 minorities. The Chinese government officially recognizes 56 ethnic groups in China, but the Han ethnicity make up the most (an estimated 92 percent of the total Chinese population). 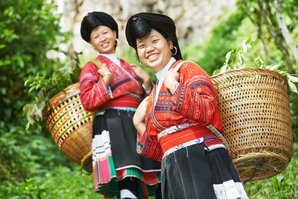 Each ethnic minority has their own social customs, language, culture, dress, language, and more. 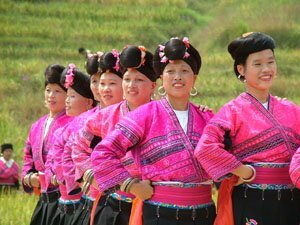 Traveling to places like Guangxi or Yunnan will allow you an insight into these different groups, who all have varying cultures. 9. Traditional Chinese festivals are key to Chinese culture. 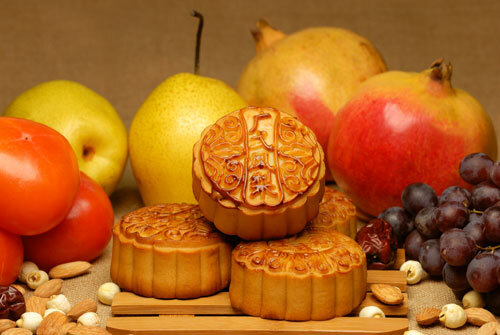 Mooncakes are traditionally eaten for Mid-Autumn Festival. Traditional festivals lie somewhat centrally to Chinese culture. The most important festivals include Spring Festival (also known as Chinese New Year), Lantern Festival, Qingming or Tomb Sweeping Festival, Dragon Boat Festival, and Mid-Autumn Festival. 10. Fortune cookies are not a thing in China — but food really is. You might be surprised to discover this, but fortune cookies are not a thing in China. Chinese restaurants in China do not, and have never, served them to their customers. However, China&apos;s is definitely a food culture. The Chinese eat a huge range of food, many of which have symbolic meanings. Foods are often the high point of festivals, and the first thing many Chinese ask is "Have you eaten?". 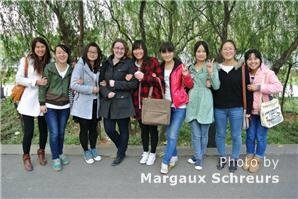 Want to learn more about Chinese culture during your trip? A calligraphy class can help you get in the spirit of Chinese culture. 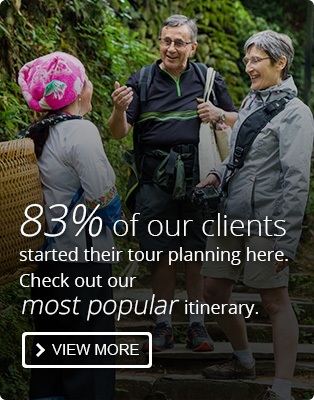 We can help you integrate whatever you are most interested in in your tour. 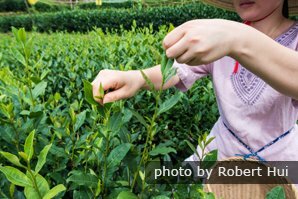 For example, why not come on a tea tour to learn more about Chinese tea culture in Hangzhou, or why not learn more about Chinese calligraphy in a workshop? If you know what you want to see while you&apos;re in China, contact us here to put together your own itinerary for your trip. If you&apos;re not sure, click here to see our most popular trips in China.